A couple of years ago, it was confirmed that an incredible, 400-year-old Greenland shark is the oldest vertebrate animal on the planet that we know of. This shark was born during a period of time marked by the reign of King James I, was a young shark when the era of colonialism was reaching a peak of intensity in the 1600s and was considered an adolescent shark as King George II became a ruler. Around the time the American Revolution occurred in the 1770s, this particular shark would have been an adult, and it continued to live throughout both world wars. 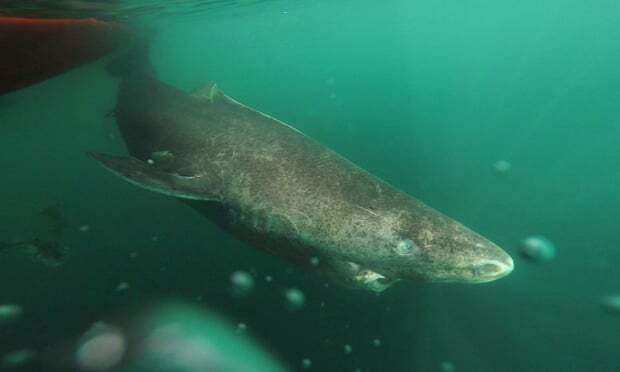 Reaching an incomprehensible age of almost 400 years old, this female Greenland shark has set a serious new record for longevity, scientists reported. This incredible lifespan outpaces the oldest elephant ever observed, Lin Wang, who passed away at the old age of 86. The official record set by humans is held by 122 year old French woman Jeanne Louise Calment, and she passed away in 1997. “It kicks off the bowhead whale as the oldest vertebrate animal,” said lead author of the research from the University of Copenhagen, Julius Nielsen, continuing to explain that bowhead whales have also been known to live for an incredible 211 years. The Greenland shark may hold the title in a certain way, but the official record for the world’s longest-lived animal is Ming, an Icelandic clam given the term “ocean quahog.” It managed to live for 507 years before scientists actually took its life. 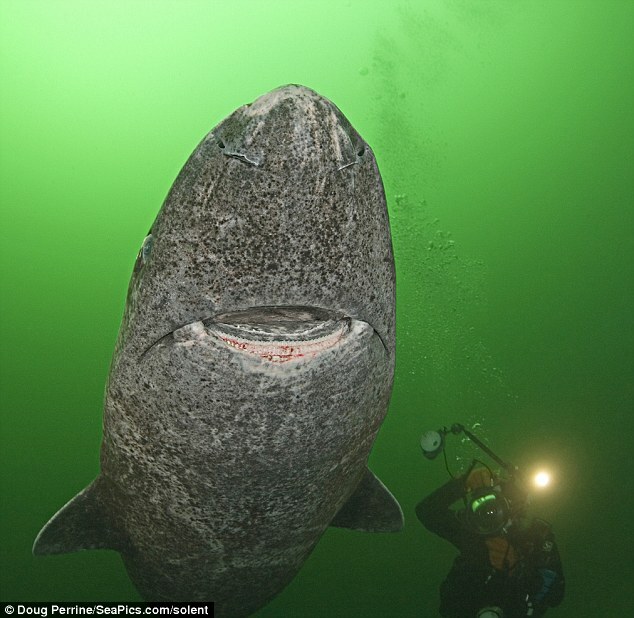 The Greenland shark is one of the largest carnivores in the world, without a doubt. 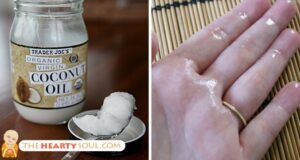 It’s grey and fat, with a reported growth rate of just less than one centimeter a year. They’ve always been thought to live for a long time, but people had no idea it was this long. He says this research is the first genuinely solid evidence of how long the sharks can live. “It definitely tells us that this creature is extraordinary and it should be considered among the absolute oldest animals in the world,” Neilsen said. Writing in the academic journal Science, Nielson and his peers, an international team of researchers described how they set out determining the age of 28 different female Greenland sharks, which were caught during scientific surveys between 2010 and 2013. While they say many fish can be assessed in age by counting the growth layers of calcium carbonates in their ears, kind of like counting tree rings, sharks don’t have those earstones. Instead, these researchers decided to examine the lenses in their eyes. According to the Guardian, “The lens of the eye is made of proteins that build up over time, with the proteins at the very centre of the lens laid down while the shark is developing in its mother’s womb. Work out the date of these proteins, the scientists say, and it is possible to achieve an estimate of the shark’s age. So they applied the technique to the proteins that lie in the center of each lens, and found that the sharks were all of very, very different ages. Now this part is incredible. In the 1950’s, atomic bomb tests increased the levels of carbon-14 in the atmosphere. This is not good in any way and shouldn’t be exciting or cool to learn, but it enabled this measurement to take place. This spike of carbon-14 entered the marine food web across the entire North Atlantic in the early 1960’s. 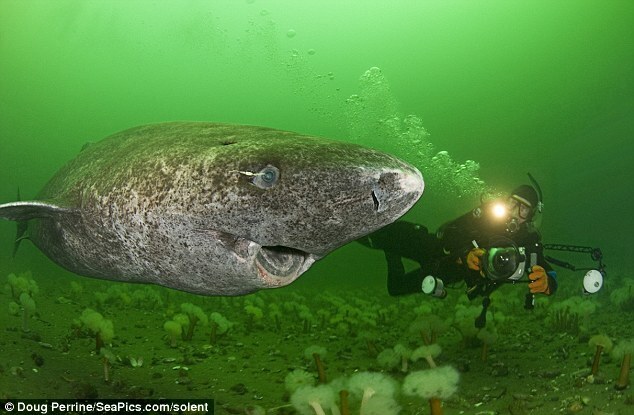 So the team found that the eye lens proteins of the two smallest Greenland sharks had the most carbon-14, strongly indicating that they were born after the early 1960’s. 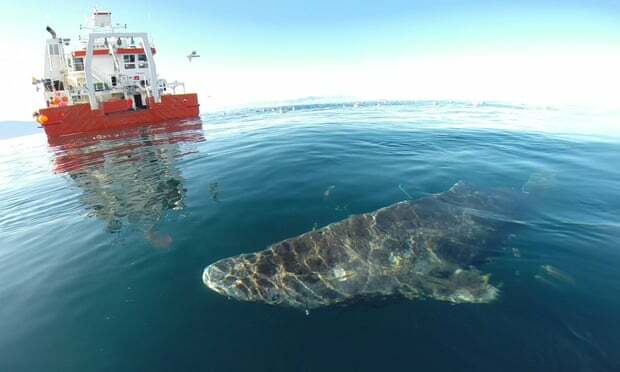 It was noted that the technique was not accurate enough to guarantee exact, pinpointed dates of birth, but this Greenland shark, one of them in the study was certainly 4 centuries old.